Is Issuing Stock as Part of Purchase Consideration a Good Idea? - Scalar Is Issuing Stock as Part of Purchase Consideration a Good Idea? Is Issuing Stock as Part of Purchase Consideration a Good Idea? Often times business transactions are thought to be completed by putting down a handful of cash on the table. Done. One business owner walks away with a new company to add to his investments, while the other walks away with a heavier pocket. As pleasant as this situation may be, it is not always the case in a business transaction. Business leaders are investment mountaineers, climbing the steep alps and risking all they have to reach the summit. Every step they take is a business engagement that is not always as easy to lock in as the previous one. Paying with cash is pretty clear-cut. Sellers don’t need to worry about considering the value of a buyer’s company—all that matters is that they’ve sold their companies for the right price. While on the other side of the equation, buyers don’t need to worry about bringing on a new owner and dividing their personal company shares to offer them as a “cash replacement” in the transaction—they simply need to negotiate the best deal possible. As long as both parties consult with a qualified valuation firm to understand the value of the target company, they can close the deal. But what if business owners aren’t prepared to pay the full amount in cash or don’t want to spend all of their cash in one transaction, but they also don’t want to miss out on a good deal? The answer to this question is stocks. 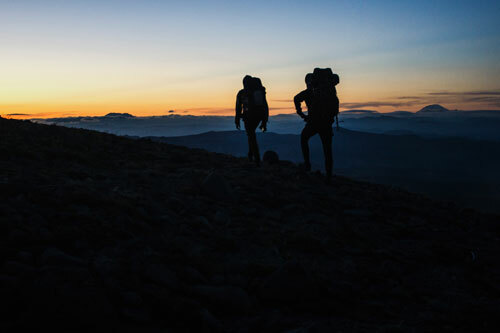 Stocks have the potential to make the hike up the mountain more abrupt for business owners, but they could be worth the sweat. Before you consider issuing stock, first take into account whether your company is private or public. This will help you determine whether it is worth putting your shares on the line or not. Private and public stock can both be issued as part of purchase consideration, but private stock has a disadvantage. The key consideration here is liquidity. Private companies that offer private stock run into the issue of liquidity. Private stock cannot be converted into cash easily—immediately creating a detour on the trail to triumph. But what if a private company’s financials have been analyzed and shareholders are expected to take a jaunty stroll to the summit when the company has the opportunity to go public? Despite how positive projections may be, a seller is likely to turn down your offer. How about if you offer more cash than the owner of a public company who is competing with you in an acquisition? Offering 40 percent cash and 60 percent in private stock sounds more alluring than offering 20 percent cash and 80 percent in public stock, right? Wrong. Contrary to private stock, public stock is completely liquid, giving investors the freedom to buy and sell on an open market. Business owners prefer liquidity, and an offer that consists of private stock poses a challenge, making it more difficult to close a deal. If paying all cash isn’t an option for business owners, playing the tricky trading game can be worth considering. Business owners who choose to issue shares in order to save money have the chance to make other investments, such as purchase office equipment or furniture that’s necessary to operate a business. As a seller, you need to be strategic about the offer, keeping in mind that stock market prices fluctuate. If you’ve been offered stock in exchange for your company, you have a chance at winning if the stock prices soar. Selling stocks at this time means you sold your company for more than the asking price. On the contrary, when stock prices dip, and keep dipping, you either wait for them to increase or you sell them and accept the fact that you didn’t accept the best deal. You’ve contemplated the idea of issuing stock to purchase a company, and have reached a conclusion: you want to issue stock as part of a purchase price consideration. The next step is to consult with a valuation firm before making a definitive decision. Valuation professionals will value your stock, letting you know how many shares to offer in accordance with their price. They will also help you determine what mix of cash and stock will give you the most value in total. As a seller, a potential buyer who walks in with an offer after consulting with a valuation firm has support of the price being offered, giving you a trusted a value. What if a prospective buyer hasn’t consulted with a valuation firm, but has made an offer that has raised your eyebrows? Consulting with a valuation firm will confirm whether the offer is fair or not. You may have to negotiate before sealing the deal. Valuation professionals can also assess the financial health of your buyer’s company, further helping you decide if the trade-off is worth it. Scalar is a world-class valuation firm that offers valuation consulting for tax services, financial reporting, transaction advisory, and litigation consulting. We collaborate with companies of differing sizes, from private entities to public companies. Our valuation professionals are well-versed in working with clients from a diversity of industries. We involve clients in every stage of the valuation process, offering a clear understanding of the calculation. If you need valuation services, you can request a complimentary consultation or call us at 385.831.1010.